​The Fort Nelson First Nation (FNFN) community is located 7 kilometers south of the town of Fort Nelson in the northeastern corner of British Columbia; the community is located at Mile 293-295 on the Alaska Highway. 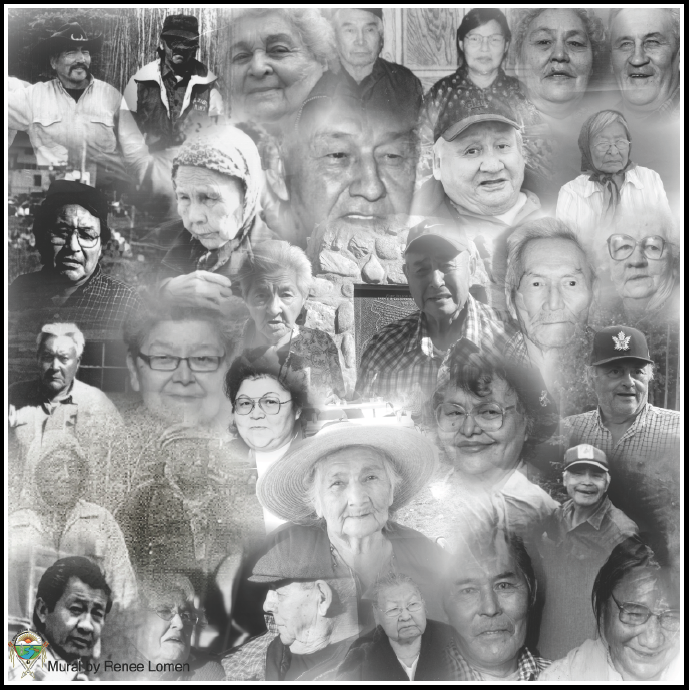 The Nation is a Slavey/Cree linguistic group with roughly 638 band members living on and off-reserve. It is one of six nations that belong to Treaty 8. The Nation houses many departments such as Administration, Health & Wellness, Family Services, Lands and Resources, ﻿Housing﻿, Finance, Capital Works, Chalo School (K-12, ABE), Dehzona Family Centre (Head Start and Daycare), ﻿Economic Development﻿ and the Justice Department. Over 100 staff help facilitate and implement the programs set forth to meet the needs of the Fort Nelson First Nation community. 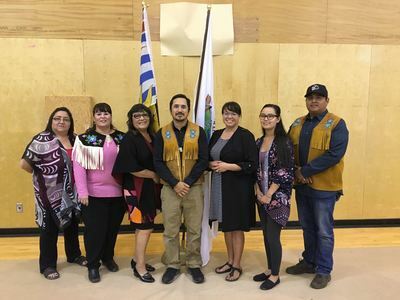 Currently, the Fort Nelson First Nation follows the Indian and Northern Affairs (INAC) Election Code; therefore, every 2 years an Election is held for 7 Councillors. The Nation is working towards overseeing the Election Code themselves; this will allow the Nation to have more flexibility when developing and revising the Election Code. Our people held title by aboriginal right to specific territories with this region. The Crown recognized the territorial and jurisdictional rights of our people within the boundaries of Treaty No. 8, as demonstrated by the Crown entering into treaty with the Fort Nelson Slavey on August 15, 1910, in the form of an adhesion to Treaty No. 8, signed on the banks of the Fort Nelson River at the Old Fort Nelson. We, the people of the Fort Nelson First Nation assert our aboriginal rights to ownership and jurisdiction in our territory and our rights are confirmed by The Royal Proclamation of 1763, The Constitution Act (1867), Treaty No. 8 of 1899, Sections 15, 25 and 35 of the Constitution Act (1982) and Articles 33 and 35 of the United Nations Declaration on the Rights of indigenous Peoples. We have rights and privileges under the provisions of said Treaty including, amongst others, access to and benefit of the resources within our traditional territory of said Treaty “for as long as the sun shines, the grass grows and the rivers flow”. The information contained in this document is for informational purposes only and provided by AANDC. This is the only information they have on file for FNFN. Check out our Chief and Council biographies below! To contact the Chief or any Council member, you can contact them at their corresponding email address as set out above. To view Council, Community or Membership Meeting Notes Band Members can contact the administration office at 250.774.7257. Is a proud Dene/Kwakuitl man, born and raised in Fort Nelson B.C. He’s the oldest son of the Late Reynold Dickie (Fort Nelson) and Leslie Dickie (Fort Rupert). At a very young age he was taught to respect mother earth and was taught the importance of continuing to practice our culture and traditions. Over the years, mentored by his father he has taken on many roles of the family business including managing crews and equipment, dealing with industry on a daily basis, learning to treat others with respect, and learning to lead with Integrity. Curtis loves the outdoors, he spends his free time with his son teaching him how to hunt, fish, and trap the same way his father taught him. Curtis is also carrying a Drum for his community; he has spent the last 13 years learning Dene songs from all the different regions. Curtis has been instrumental bringing back an important piece of our culture to our community, Traditional Dene Hand games. Curtis sees our culture as the key to not only reconciling with the members of our own nation but reconciling with Canada and taking back what we lost due to the residential school systems. He will continue working hard for our Nation, moving forward in all aspects, ensuring our people are strong, healthy, proud, and self-reliant, respecting our Treaty, and providing a better quality of life for our members. ​My Name is Roberta Dendys (AKA Mousie) I was born and raised here in Fort Nelson and have resided on the Fort Nelson First Nation for the past 33 years. I have been married for 27 years (14 of which is legal), raised 4 children and one niece. I am a very proud grandma to 3 beautiful grand-daughters. My parents are Don and Georgina Ross and I have a baby sister, Shirley, who lives in Prophet River with her husband and two daughters. I also have a brother and niece who live in Grande Prairie I am the grand-daughter of Narcisse and Virginia Capot-Blanc. My history with Fort Nelson First Nation started when I was around 15. I was a summer student, when the Band Office was located by Neh Zoo. I recall being cooped up in the basement working on an inventory list for Administration. At that time it was mostly counting beaver pelts and moose hide and not so much equipment. I have to confess there was a time or two when I would just lay on the fur and watch the clock tick away. I remember some of the office workers (all housed in one building) smoking at their desks and fighting with the keys on their in-need-of repairs type writers. At that time, I believe we only had two Band Vehicles that bounced around the pothole rez. I also recall helping my dad haul water to each house and fill the tin barrels in old reserve and tanks in the new reserve. Anyways how the times have changed. I had the pleasure to see and help our nation go through some of the changes. Today, we try to keep up with technology, we own beautiful facilities, offer many programs and services, have paved roads, exceptional school, adequate housing, daycare, fresh running water, economic opportunities. These are some of the changes that happened in my lifetime, imagine the stories of our elders, the lives they lived and resources they had; praise them for their sacrifices which made an easier life for us to live in today. Although we need to keep thriving we must not ever forget our roots and where we come from. I have been working for my nation for the past 22 years, in many capacities and previously elected in Council. We have gone through a lot challenges but also found a lot of rewards. Our Nation is amazing and I am proud to be a member! I look forward to working with the council and community over the next couple years and hope that together we can continue to build a healthy nation. ​My name is Morgan Behn and I am a lifelong member and resident of Fort Nelson First Nation. I am the daughter of Sally Behn and Kevin Tsakoza, and granddaughter to George and Mary Behn. From birth, I have been taught the importance of our culture and traditions that have sustained our people for countless generations. To this day I live a life rich with the history of my grandparents. I am the voice of a new generation of leaders who will stand up for the rights of our people, our land and traditional ways. In my short years I have accomplished many things, such as: graduated from Fort Nelson Secondary School with multiple A/B honor roll awards and sport trophies; travelled to 5 continents and 13 countries; held board seats on the Community Education Authority and the Northern Rockies Aboriginal Woman’s Society; participated in several youth runs and Indigenous ceremonies; and actively participated in sports such as hockey, figure skating, baseball, basketball and volleyball. My passion is to help people, being involved in the community and learning new things. I am honoured to obtain a seat on council and very much look forward to working with everyone! Councillor Patricia Capot Blanc is the daughter of Adolphus Capot Blanc and Maggie (Netsena) Capot Blanc. She is the granddaughter of the late Celine Netsena and Narcisse and Virginia Capot Blanc. Councillor Capot Blanc is presently employed for Fort Nelson First Nation as the Elders Activities Coordinator. Prior to that, she worked as a Home Support worker in the same department on and has worked in that role on and off for many years. Her fondest memory of working for FNFN is working as the Secretary in the Band Office by Capital Works alongside Sally and Mabel. This is Councillor Capot Blanc’s second term on Council. She presently sits on the boards for the Northeast Native Advancing Society (NENAS) and Northern Rockies Aboriginal Women Society (NRAWS). She has also sat on the FNFN Education and Housing committees and has done various voluntary work at Chalo School and the FNFN community. Councillor Patricia has lived in Fort Nelson all of her life and to this day remains actively involved in the community. She is a proud grandmother of six and strives to be a role model for them. Ten years ago, she lost her partner and had to overcome many obstacles to reach today; a life free of substance abuse and addiction and start really living. It’s been three years of walking the red road for Councillor Capot Blanc and she’s thankful for the life she now leads and lives. She strives to help others in the community, just as she’s been helped and supported. I believe in equality, I believe in integrity. We all have potential, no matter where we are from, to make the world a better place for ourselves, our children and for our future generations. As individuals we are all deserving of having a good quality of life. Each one of us has a role to play in maintaining a healthy, strong and self-reliant community. I attended Residential School in Lower Post B.C. for 6 years. I graduated from Plains Indians Cultural Survival School in Calgary Alberta. I have over 20 years’ experience working in the Health Care profession in both Hospitals and Intermediate Care Facilities and over 15 years in education. My employment history has always been centered around Education, Health and the Arts. Sharleen has been an elected Councillor of the Fort Nelson First Nation since 2009. She is an active member of the Fort Nelson First Nation and envisions a future where all members are working together to become a strong, proud, healthy, and self-reliant Nation. As a Councillor and former Chief of the Nation, she understands the importance of upholding the spirit and intent of the treaty by asserting her people’s rights to their land and taking responsibility for ensuring that our future generations are able to live their lives in their territory in a way that honors our ancestors. Sharleen served as Chief from 2012 to 2014 and as Acting Chief from Oct 2016 to August 2017. Sharleen currently works at Westcoast Energy Inc. for 19 years and started her career in 2000. Her various roles working in Administration, Finance, Maintenance, Planning and in Leadership have given her extensive experience in the oil and gas sector, the corporate world and the vision to ensure our people are managing our lands and our resources in our territory to the benefit of our members.